Sinai Center for Geriatric Surgery > Our Team > Additional Information on Mark R. Katlic, M.D., M.M.M., F.A.C.S. Additional Information on Mark R. Katlic, M.D., M.M.M., F.A.C.S. 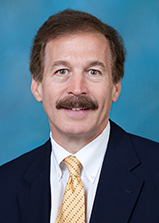 Mark Katlic, M.D., Katlic is a Phi Beta Kappa graduate of Washington and Jefferson College and an Alpha Omega Alpha graduate of the Johns Hopkins University School of Medicine. He completed residencies in Surgery and Cardiothoracic Surgery at the Massachusetts General Hospital. A practicing thoracic surgeon since 1984, Dr. Katlic also earned a Master of Medical Management degree from the John Heinz School of Public Policy and Management at Carnegie Mellon University in 1999. Dr. Katlic has had a special interest in caring for the elderly for 30 years. His paper, "Surgery in Centenarians," was published in the Journal of the American Medical Association in 1985 and his first textbook, Geriatric Surgery, in 1990. He co-edited his second book, Principles and Practice of Geriatric Surgery, in 2001; a third, New Frontiers in Geriatric Research in 2007; and fourth (Principles and Practice of Geriatric Surgery, 2nd ed.) and fifth (Cardiothoracic Surgery in the Elderly) in 2011. As a thoracic surgeon Dr. Katlic has pioneered video-assisted thoracic surgery (VATS) under local anesthesia and sedation, with results of nearly 400 cases published in the Annals of Thoracic Surgery in 2010. He also performs VATS lobectomy, radiofrequency ablation of lung tumors, laser bronchoscopy, and stents as well as the full range of “open” chest surgery. On a mission to improve the care of the elderly surgical patient, Dr. Katlic speaks frequently at medical schools and national meetings (recent lectures: Society of Thoracic Surgeons Annual Meeting; American College of Surgeons Clinical Congress; General Thoracic Surgical Club Annual Meeting; Johns Hopkins; Massachusetts General Hospital; University of Wisconsin; Northwestern; Emory; Brown; Temple; NIH). Learn more about Dr. Katlic by visiting his Press Room Expert page. In this WBAL-AM "Know Your Health" radio clip, Dr. Katlic discusses geriatric surgery and the medical needs for older patients.